Two people have been killed after a man opened fire on vehicles including a bus in Seattle, police said. 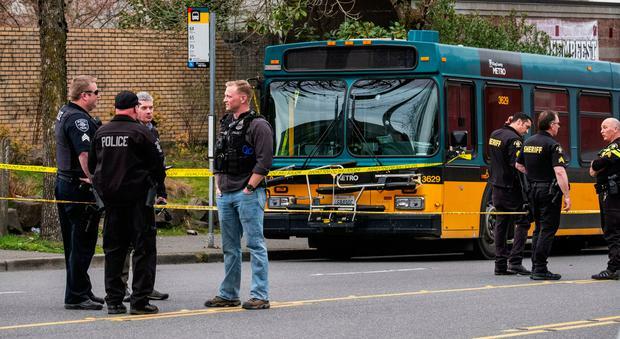 Seattle Deputy Police Chief Marc Garth Green said a man approached a driver near the Lake City neighbourhood and shot her before firing on a southbound Metro bus. Mr Green said the driver turned the bus around and drove to a safe place before hitting his alarm button and reporting he was shot. He said the suspect then approached another motorist and fired, killing that driver. 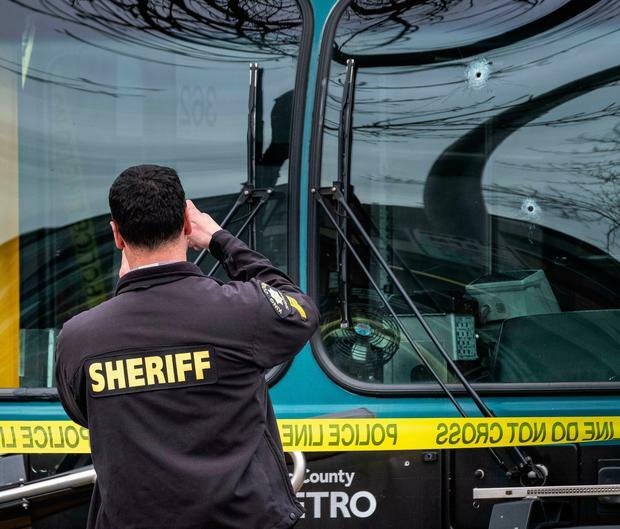 Several bullet holes can be seen in the driver’s side window of a Metro Bus on Northeast 125th Street after a shooting in Seattle Wednesday, March 27, 2019. Mr Green said when police arrived the suspect fled in the vehicle and collided with another vehicle nearby, killing the driver. Police took him into custody after a brief stand-off. Seattle Mayor Jenny Durkan and King County Executive Dow Constantine said they were grieving with the loved ones of the victims. City leaders also pledged to support the two people who were injured in what police believe was a random act. Mr Constantine identified the bus driver as 53-year-old Eric Stark, calling him a hero for moving the bus to a safe location after he was shot.